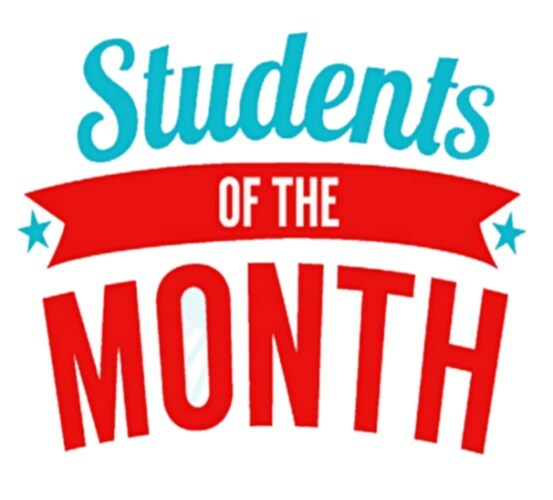 Congratulations to the March students of the month! 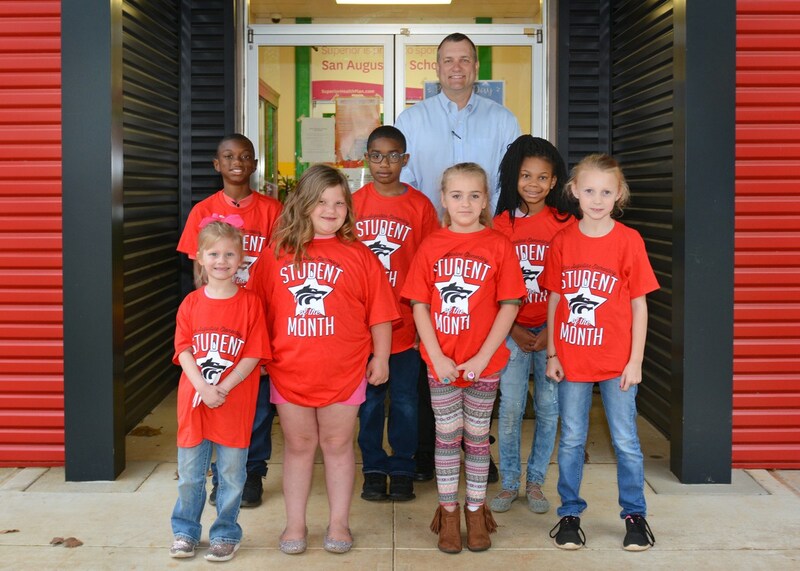 Click on the headline to see more about these amazing students! The PreK Student of the Month for March was Kiley McCarty. Kiley is a very quiet, well mannered student. She has improved so much throughout this year. Her favorite time at school is recess. Kiley is the daughter of Carolyn Smith and Corey McCarty, and she is in Mrs. Sylvia Nielson's room. The Kindergarten Student of the Month for March was Elizabeth Carpenter. Elizabeth is the daughter of Stephanie and Lester Carpenter. She is in Mrs. Kelly Beall’s homeroom. She is a very sweet student, who is very polite, hard working, and respectful and she loves helping others. Elizabeth shows real leadership and has grown so much this year academically. The 1st grade Student of the Month for March was Isabell Page. Isabell is a joy to have in class. She always gets her work done and is willing to help her classmates. When I asked her how she would describe someone that is student of the month, she said,"happy, smart, and does their work." Those words could be used to describe Isabell. Isabell is the daughter of Tonya Bennefield and Jared Hagler and she is in Mrs. Jenny Tanner's homeroom. The 2nd grade Student of the Month for March was Alexis Jackson. Alexis is a wonderful student, she is a hard worker, and she really enjoys helping others. Her favorite part of school is going to computer and when the time comes she would like to go to Stephen F. Austin State University and study to be a Veterinarian. Alexis is the daughter of Jennifer Jackson and Brian Jackson. She is in Katie Johnson’s homeroom. The 3rd grade Student of the Month for March was Michael Renfro. Michael is an awesome student, he is very conscientious about his work and he is a pleasant person to be around. Michael loves to play sports, but his favorites are basketball and baseball. He also enjoys playing video games on his PS4, he likes to play Call of Duty, UFC3, and WWE (wrestling). His favorite foods are pizza and Hamburger Helper. He has two brothers and two sisters, and he is the son of Meosha Johnson and Michael Renfro. Michael is in Mrs. Linda Skadowski's homeroom. The 4th grade Student of the Month for March was Andrew Nash. Andrew is one of our best students with excellent behavior and a wonderful work ethic. His favorite class is reading, and he is reading at a 12th grade level. Andrew’s favorite sport is football, and his favorite hobby is fishing. Andrew’s dream of the future is to go to Texas A&M and he wants to play pro ball. With the way he is handling school, it looks like he will make it. Andrew has a secret—he is a very tough young man, but no one knows until they try to beat him in wrestling. No one can take him! Andrew is the son of Tiffany Hamilton Nash and Antonio Nash. His teachers, Mrs. Carlton, Mrs. Lozoya, and Mrs. Whitton are very proud of him! The 5th grade Student of the Month for March was A’nesiya Burrell. A’nesiya is a hard worker who always does her best, she is very respectful, and a joy to have in class. Her favorite subject is math, and in her free time she enjoys reading. When she gets older she would like to pursue a career in fashion. A’nesiya is the daughter of Emily Price and Patrick Jackson. She is in Mrs. Kay Little’s homeroom. The 6th grade Student of the Month for March was Camden Boyette. Camden is the son of Chad and Jena Boyette. His favorite subject is English and his favorite teacher is Mrs. Whittlesey because she wants her students to learn and has high expectations of them. In his spare time, Camden enjoys playing video games, building with LEGO pieces, drawing and playing basketball. He is involved with 4-H, band and robotics. Camden hopes to go to Texas A&M and become an engineer. The 7th grade Student of the Month for March was Jakira Giles. Jakira is the daughter of Sharla Holmes and Cartrell Giles. Her favorite subject is reading. Her favorite teacher was Mrs. Willie Faye Garrett in third grade because she always took her time to explain things and was a very sweet teacher. Jakira enjoys playing sports, especially volleyball. She also enjoys reading, babysitting, and going to family parties. Jakira plans to go to college and become a hairstylist. The 8th grade Student of the Month for March was ZyMya Olford. ZyMya is the daughter of Ebony Teel and Charles Olford. Her favorite subjects are math and history. Her favorite teacher was Mrs. Whittney in 5th grade because she always had something for her students to work on. She enjoys playing volleyball in her spare time. She participates in Middle School volleyball, basketball and track. ZyMya plans to go to Panola College and study to become a Registered Nurse. 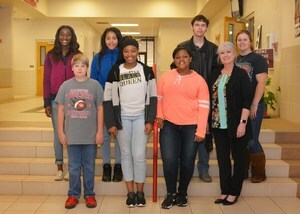 The 9th grade Student of the Month for March was Jazlynn Clifton. Jazlynn is the daughter of Nakendra Clifton and Demetrice Martin. Her favorite subject is reading and Mrs. Kim Holloway is her favorite teacher because she is always very nice. She enjoys reading and babysitting in her spare time. She participates in volleyball and track. Jazlynn plans to go to college and become an OB/GYN or a midwife. The 10th grade Student of the Month for March was Jaya Clifton. Jaya is the daughter of Nakendra Clifton and the late Jared Belser. Her favorite subject is English. In her spare time she he enjoys to shop, babysit, read and take pictures. She is involved in Interact Club, athletics, track and volleyball. Jaya plans to join the Army and then go to college to become an X-ray technician. The 11th grade Student of the Month for March was Ryan Rodriquez. Ryan is the son of Don and Tina Rodriquez. His favorite subject is forensic science and his favorite teacher is Doc Harrison because he is very smart and makes his lessons fun. In his spare time, Ryan enjoys hunting, drawing, video games, horror movies and music. Ryan plans to go to Stephen F. Austin and get a master's degree in psychology. The 12th grade Student of the Month for March was Breezy Hightower. Breezy is the daughter of Tony and Susie Hightower. Her favorite subjects are art and Ag. Mr. Jesse Harrison is her favorite teacher because she enjoys his class and always looks forward to going to it. In her spare time, Breezy enjoys fishing, hunting, sports, and building things. She is involved in FFA and the Bass Club. Breezy plans to go to Panola College and become a cosmetologist.